After being contacted a couple of weeks ago by jewellery company Rings and Tings, I set about browsing their site for the most ‘me’ pieces I could find. I’m on a massive punky jewellery kick at the moment, and I’m sure there are plenty more of you out there who are too. Punk is most definitely in right now, whether you loved it before and will long after the fashion faze fades again, or are just along for the safety pin-clad ride while it lasts. I’ve always loved skull related everything, since my teenage years, and luckily for me thanks to current trends, my kinda thing is way more readily available instores and online at an affordable price than it was back then. On-trend and on-price? Yes please. 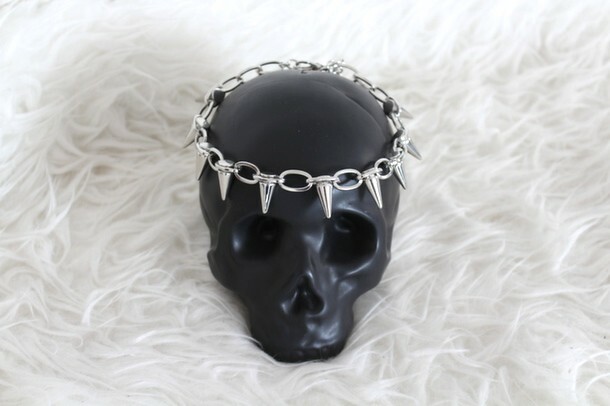 This choker comes in at a lowly £9, and it couldn’t be more punky if it tried. If silver’s not your thing, this comes in bright gold and ‘vintage’ gold too so you can mix and match to your heart’s content. Layered over dresses, this will instantly make ladylike outfits more badass, and give a little more edge to super girly ensembles. I’ll be throwing this over all my jean and t-shirt pairings with my big clompy DMs for good measure. Just click here to shop this piece. Next we’re going demure, better for those dipping a toe into the trend. 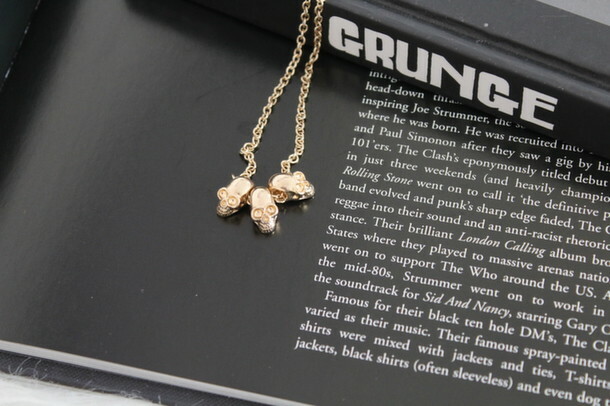 This dainty necklace has three gold skulls and is perfect for layering with all your other favourite chains. I love wearing this high on the neck so it just peeks over my tees and jumpers. It’s a great way to inject the tiniest edge into your outfit, without going overboard. This piece is just £4.50 and you can pick it up here. Finally for today is the statement ring to end all statement rings. 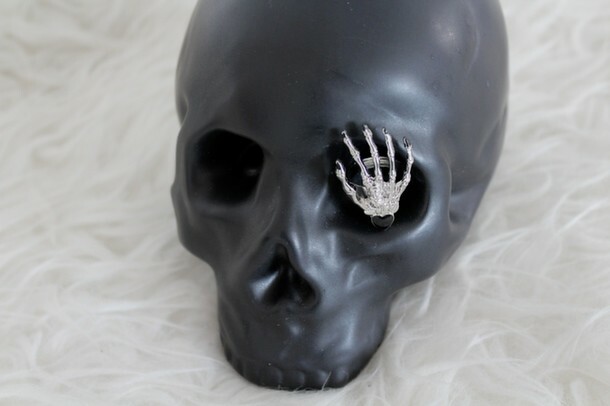 Sticking with the skeleton theme, this ring has a tiny heart detail to keep some femininity, but it definitely has a playful vibe about it that I love. Wear this alone and let it do all the talking, or throw on all your favourite statement rings a la Phoebe from Friends (my favourite way to wear them!) This ring is extendable, comes in gold too and it’s only £5 so won’t break the bank either, you can shop it here.